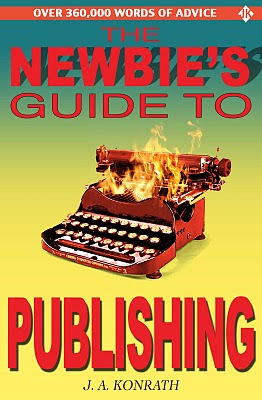 My exhaustive writing and marketing ebook, The Newbie's Guide to Publishing, is now available on Kindle. How exhaustive is it? It's over 370,000 words, and clocks in at over 1100 pages. The thing that makes it possible to navigate this monster is an organized table of contents that allows you to jump around. Which brings up an interesting point about ebooks. In this case, my book simply couldn't be sold as a print book. It is too long, too niche, and too dependent on hyperlinks. Even 1/10th of the essays were bound in a print edition, it would still cost more than the $2.99 I'm charging for it. WRITING - More than forty essays, covering everything you need to know to craft fiction. BREAKING IN - Over forty essays on how to find an agent and sell your writing. PUBLISHING - More than twenty essays about the publishing business, and how it works. PROMOTION - Over fifty essays on marketing, advertising, and self-promotion. TOURING - Extensive, in-depth details on how to do book tours and signings. INTERNET - Dozens of essays on how writers can effectively use the world wide web. EBOOKS - Speculation and real-life examples of digital publishing, the Kindle, print on demand, and self-publishing. MOTIVATION - Over fifty essays guaranteed to enlighten and inspire your writing efforts. It also includes a foreword and several bonus essays by bestselling author Barry Eisler. When I first started this blog back in 2005, my intent was to share what I've learned about the publishing business with the world. Publishing was a secretive industry, with a lot of mystery surrounding how it worked. Newbie's Guide documented my journey, while also attempting to reveal some of that mystery. And what a long, strange trip it has been. Now, five years and 500 posts later, I still haven't run out of things to blog about. The publishing world is in the midst of a major upheaval, with the arrival of the Kindle and other ereaders. My views continue to change and evolve as the industry does. I plan on updating this ebook again next year, and every year after that, because I know I'll never run out of opinions, predictions, and things to say about this business. I'd like to thank you for reading this blog. I don't do that often enough. I'm lucky to have so many blog readers who share their comments, link to me, and help spread the word. I just learned I was again named one of Writer's Digest's Top 101 Websites For Writers. Incredibly, Googling my blog address, "jakonrath.blogspot.com", gets 383,000 hits. In the past week I've done eight interviews, all based on things I've said on this blog. Oh no, another blog about the publishing business. But before you mouse over to the VIEW NEXT BLOG button, hear me out. 1. There are over 100,000 books published every year. 2. Only one out of five books makes money (two break even, two lose money). 3. If you expect to stay in this business, your book had better make money. I have hundreds of author friends. Dozens of them are on their fifth, tenth, forty-third book, and find themselves unable to sell their latest because their numbers just aren't good---their publishers aren't making back their investment. And investment in an author is expensive. Besides the advance paid, publishers must also pay for paper, printing, binding, cover design, editorial work, galleys, corrugation (making boxes for the books to be shipped in), shipping, and marketing/advertising/promotion. What profit is left is shared with the bookseller, and often a distributor (Ingram, Baker & Taylor). On a $25 hardcover, the publisher makes about as much as the author; about three bucks. Many of my peers believe that their job is simply to write the books, and that the publisher must sell them. 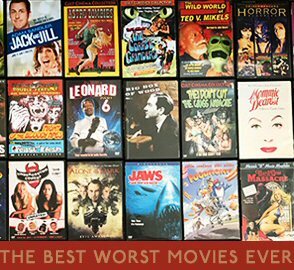 Many of these same peers find themselves struggling to sell their next project. I believe the opposite. If it's my name on the book, it's my job to sell it. My goal is simple; to make my publisher money, so they'll buy my next book. So does a lowly author have the power to make this happen? That's the purpose of this blog. To raise author awareness of what needs to be done in order to become one of those one in five books that turns a profit. My second book, BLOODY MARY, comes out this June, along with the mass market paperback edition of WHISKEY SOUR. I'll be sharing my promotion tips, what works and what doesn't, and be happy to answer any questions along the way. My name is Joe, and I'm an author. Some things have changed a lot. But some are still the same. I still believe it is my name on the book, and my job to sell it. While it isn't within an author's power to make a book a huge hit, an author does have the power to make a book profitable. But that's no guarantee the publisher will continue to buy books from the author. I've parted ways with two print publishers, even though my books continue to earn royalties. I've also signed deals with three other print publishers, and have learned that it's possible to make a living without print at all. Authors have more power than ever. And you can make a difference in your career. My name is Joe, and I'm an author. I'm still here. And I plan on being here for a while.